💻An Ed Tech Podcast: Monica Burns is prolific and amazing and a respected voice in the edusphere so it should be no surprise that she has launched her own podcast. The title of the podcast is Easy EdTech and each one is 15-18 minutes which is a perfect byte size chunk. The first 4 podcasts touch on Creative Teacher Projects for Any Classroom, How to Get Started with Back Channels, How to Use Explainer Videos in Your Classroom, and Virtual Reality Classroom Discussion Prompts. The entire podcast series can be found here on iTunes. 📲A Podcast with the Pulse of Education: If you are looking for a new podcast that has the pulse of education, you have to check out the OnEducation podcast. Mike and Glen are amazing. They have 50+ episodes and 63 5⭐️ ratings. 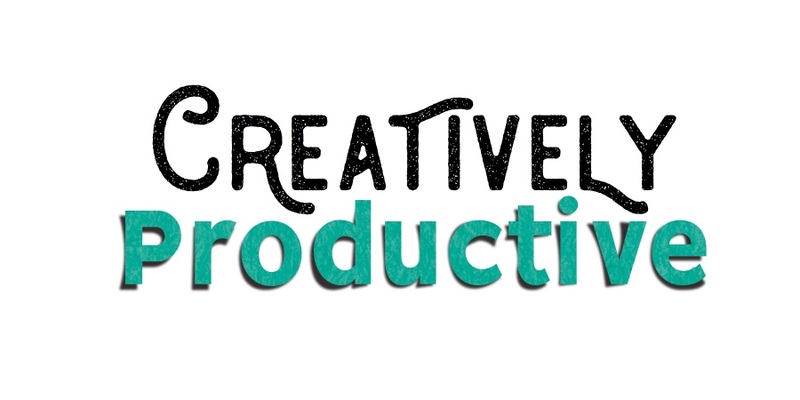 And shameless plug... they interviewed yours truly on a variety of #creativelyproductive tips, tools, and practices on last week's episode. The complete podcast is here. I believe the book interview comes in at about 38 minutes. 🎤A Tool That is Pretty Cool for Podcasting: If you are interested in starting your own podcast, I highly recommend Anchor. It has an app and a website. I started using it this semester for the parent speaker series we launched (mentioned above) and it has been so easy to use and navigate! 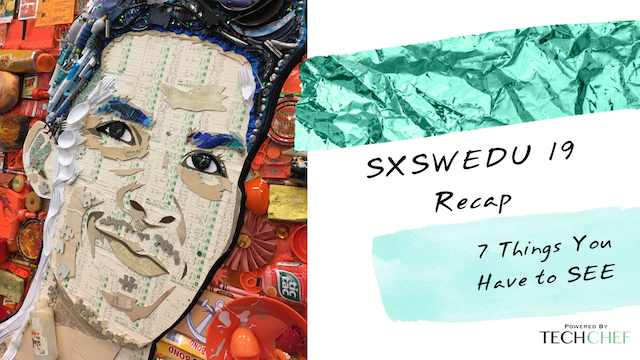 📝A Recap of SXSWEDU: Cheating a little here on the podcast theme for this newsletter BUT hear me out. I had a moment to gather my thoughts on SXSWEDU and share my favorite sessions and ideas. And the best part... MANY of the Sessions and keynotes have a podcast version so I couldn't help but share! The Creatively Productive badges for each chapter are now available - All the downloadable badge freebies can be found here. I wrote a guest post with Dave Burgess Inc - If you are looking for more things you can do right now to become more creatively productive, this post is for you. I was interviewed about tips for being Creatively Productive on the OnEducation podcast. One of my favorite sites, Book Riot, included my book journal and my reader's notebook process in a new post entitled "Book Journaling: What It is and How to Get Started"
📝New Blog Interview! 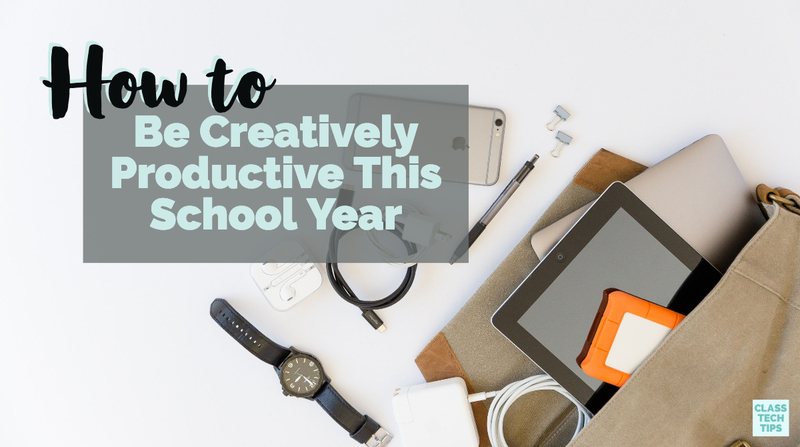 : Monica Burns, best known as Class Tech Tips, shared a blog post entitled "How to Be Creatively Productive This School Year" in which she asked a series of questions that I shared resources and links for. All of that loveliness can be found here on her site. Where I'll Be: If you are looking for some IRL TechChef "Creatively Productive" sessions, I will be at .EDU and Learnfest.